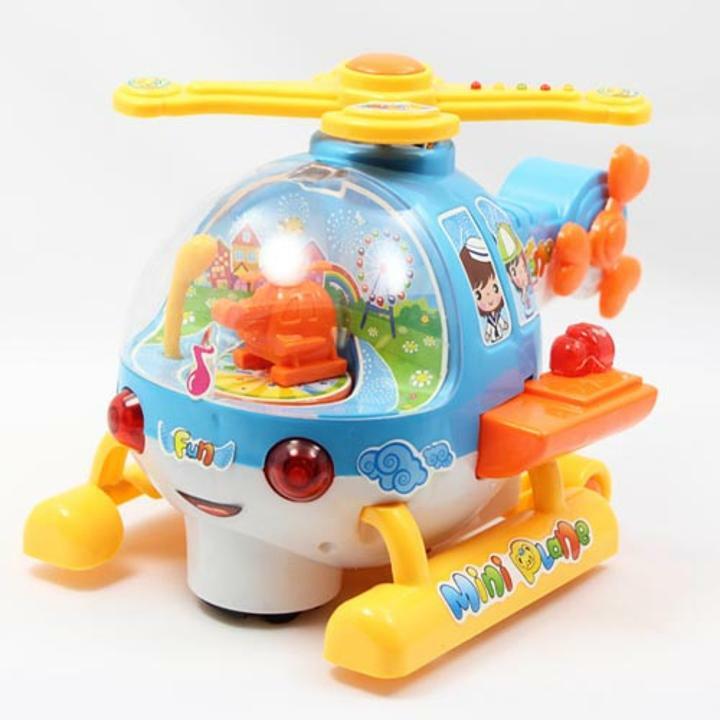 Bump & go mini plane has many flashing lights with rotating rotor and spinning chopper inside. Drives around singing jolly tune. Battery operated, requires 4 "AA" batteries (not included).